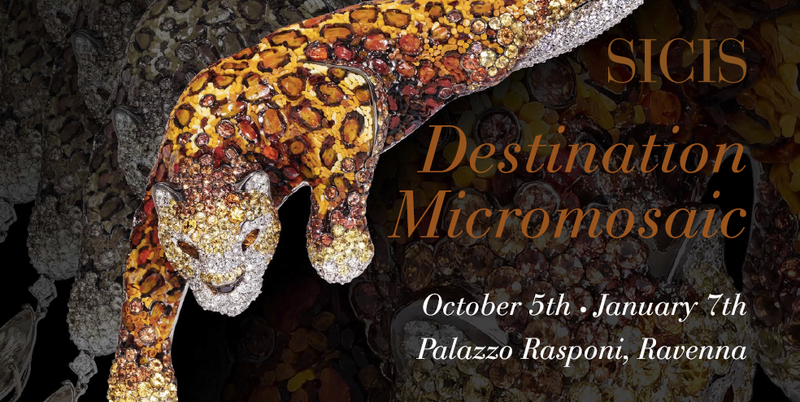 “Destination Micromosaic” – from October 5 to January 7 – is more than an exhibition, it’s a wonderful journey into Sicis’ world of mosaic: an itinerary where techniques, materials, creativity, artistic sensitivity and skills of mosaic masters enter into a virtual simulation. In occasion of our 30th anniversary, we will held our first exhibition in the rooms of famous Palazzo Rasponi dalle Teste, in Ravenna (Italy). The exhibition is an engaging experience made of videos and pictures that will guide you through the company’s evolution, till the rediscovery of 18th century micromosaic, reintepreted into precious jewelry. The immersive experience starts in the Icons Room with wall projections of real-life digital frescoes, alternating our main collection of portraits and icons realized by our great masters in the largest mosaic atelier in the world. Then you’ll enter the Origin Room where a series of screens will let you through the company’s history from its origins to know, narrating its development and innovations. From history to pure matter, the next room we’ll take you in is The Material, a dark room in which magical mirrors showcase our various materials: marble steel, glass and fabrics. Our artisanal value is what makes us one of a kind, and we’ll explore this theme in The Mosaic Master room, where zenith projection will show you the sophisticated work of our mosaic masters and will get you in touch with the hands that create this incredible “eternal paintings”. Evolution is nothing without the past, that’s why will take you to The Heritage room to live a journey through the ancient mosaic history evoking images of mosaics from the Greeks and Romans in relation with our realizations. 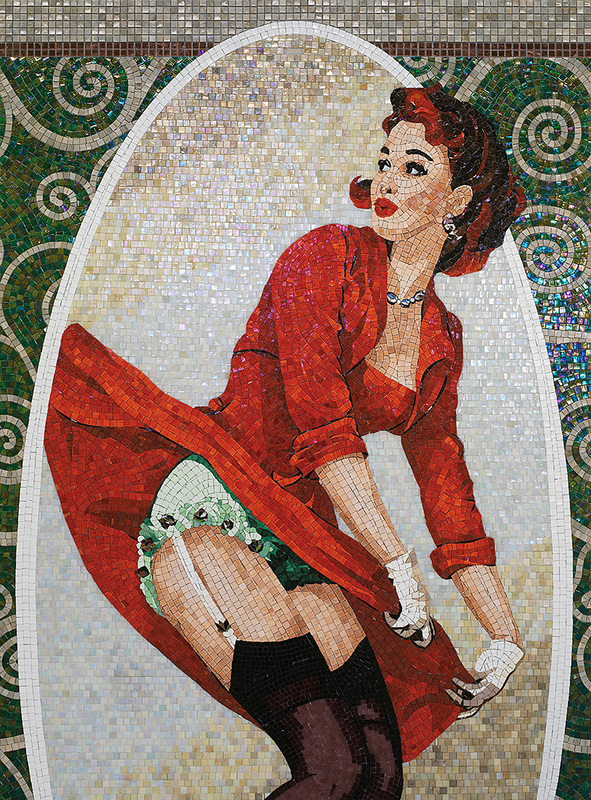 Then we’ll step into the future, into our most innovative collections: in The Innovation room special projections reveal the extraordinary vision of our most innovative works, inspired by modern art, pop-art and avant-garde and our latest Metallismo collection made of stainless steel mosaic. 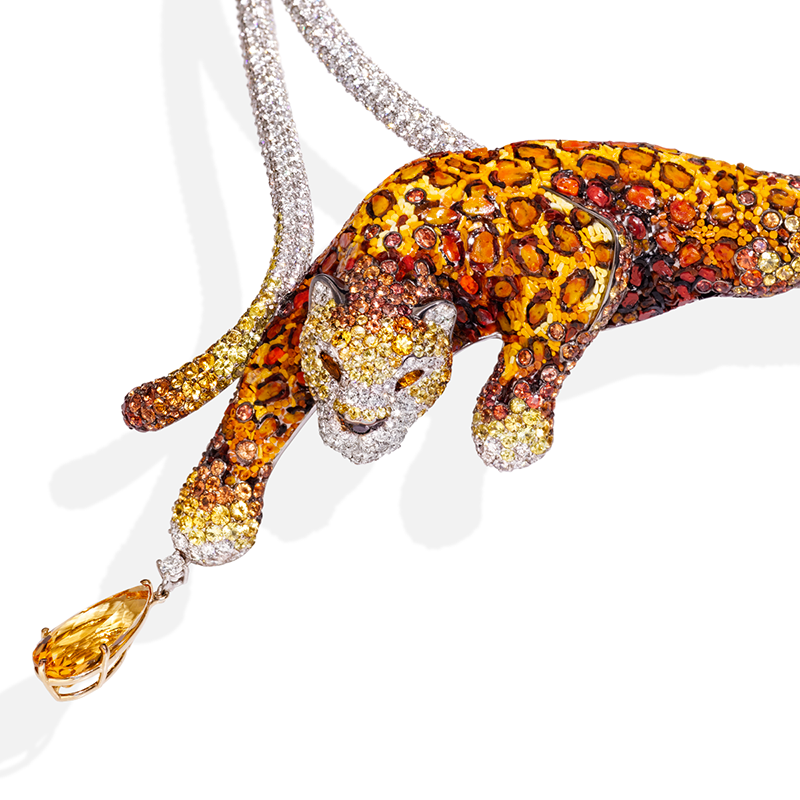 The MicroMosaic room is entirely dedicated to our precious jewelry. We invested resources to study and bring back this art to the glamour of the Grand Tour, when nobles adored to possess micromosaic jewels. This journey aims to be a special way to enter our incredible reality: we transformed mosaic into the greatest communication tool that can express trends and boost new markets. 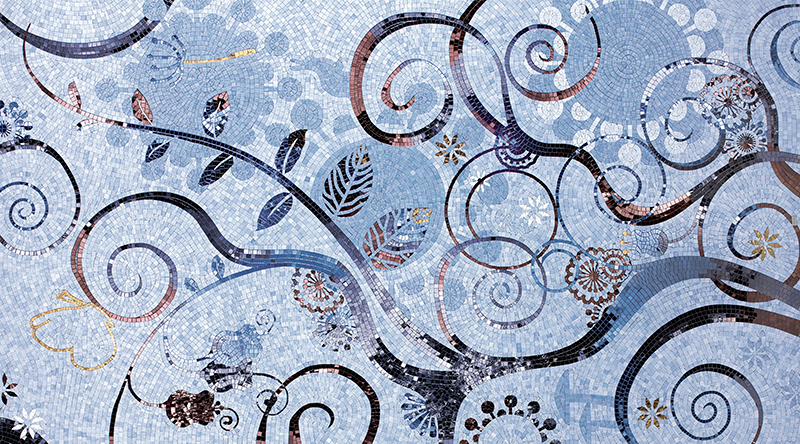 From the beauty of our jewelry to the fascination of nature inspired mosaic: in the Room of Beauty a mix of images and videos shows the mastery of baroque renaissance floral arrangements to oriental, stylistic Japanese tradition. 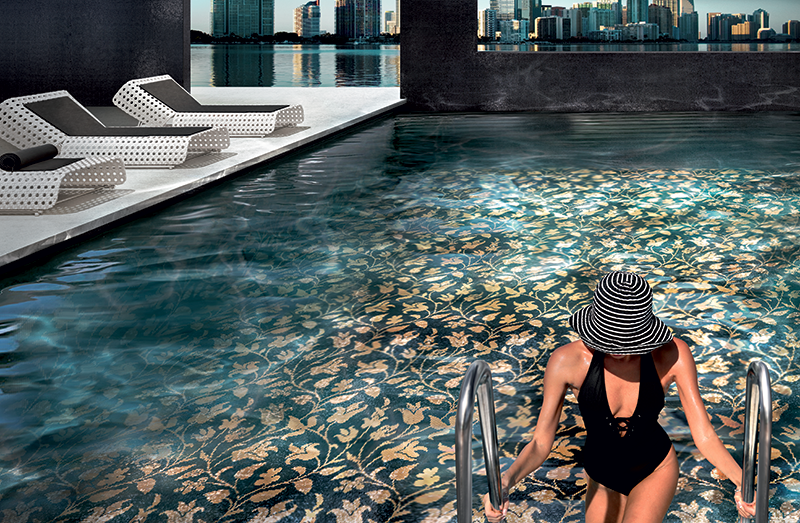 As our last stop we’ll take you to a special observatory point to see the projection of mosaic pattern under the “water effect”, with images of our most prestigious pool projects around the world. 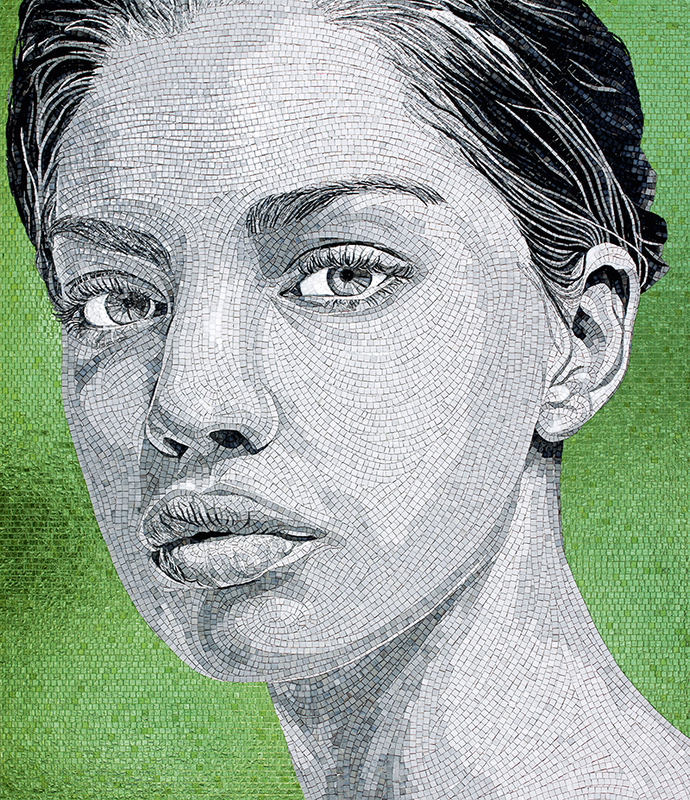 “Destination MicroMosaic” is an experience you have to live in person, no words can truly express the power of the journey into our world of mosaic. From October 5 to January 7 come visit the exhibition at Palazzo Rasponi, in Ravenna, Italy.